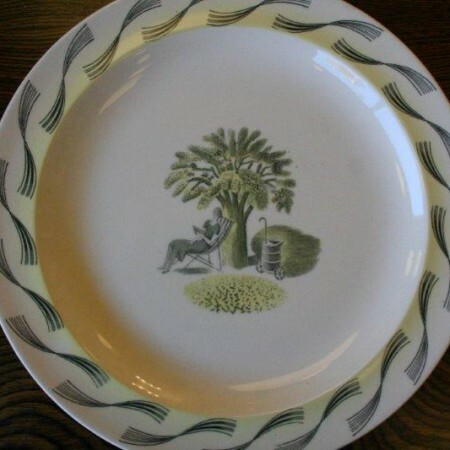 A superb mint and boxed Wedgwood 9 inch diameter plate. Produced in 2003 to celebrate the centenary of Ravilious’ birth. 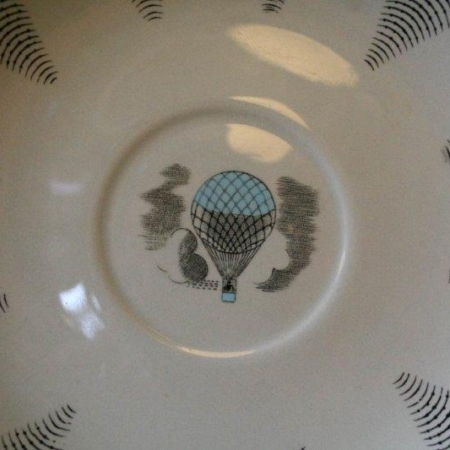 Ravilious designed for Wedgwood from 1936-1940 and his pieces are highly sought after. 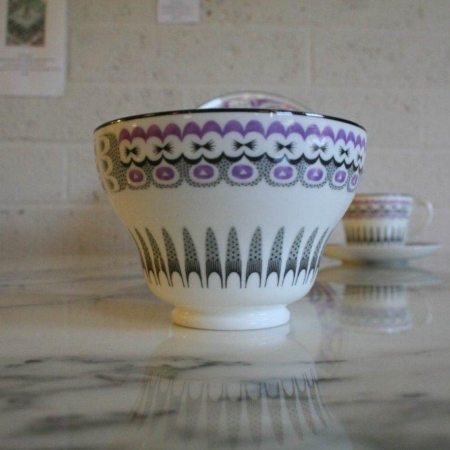 One of the most collected are his designs called “Boat Race Day” issued in 1938 on a vase and bowl, originals of which command four figure prices. 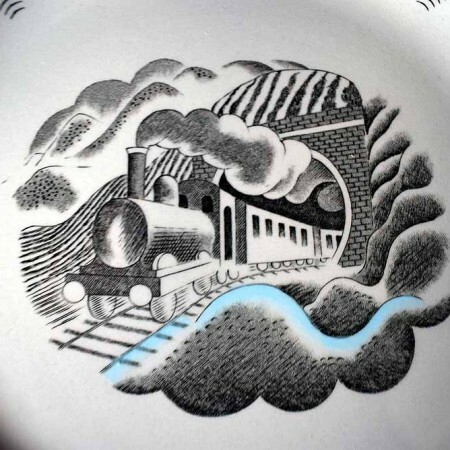 This hard to find 2003 issue is decorated with each of the vignettes from the original 1938 Boat Race vase/bowl and an image of Ravilious drawn originally by his wife, Tirzah Garwood. In clean, undamaged condition in its original box.